Stratis, the blockchain-as-a-service provider has announced that its highly anticipated alpha version of the Breeze TumbleBit Server has now been released for testing. The Stratis team has been engaging in a process of incremental deliveries and with this development, they wanted to share some technical details of the release. This release showcases the Stratis secure node advertisement protocol, which will be utilized by the Breeze wallet to locate Breeze Tumblebit servers without the need for a centralized list. This is, therefore, a trustless registration mechanism resistant to manipulation or censorship. The registration transaction is a specially-formatted transaction broadcast by the Breeze Tumblebit Server to the Stratis network. 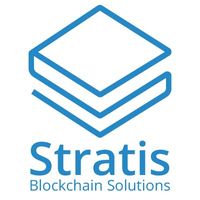 In this release, registration transactions are broadcast to the main Stratis blockchain.